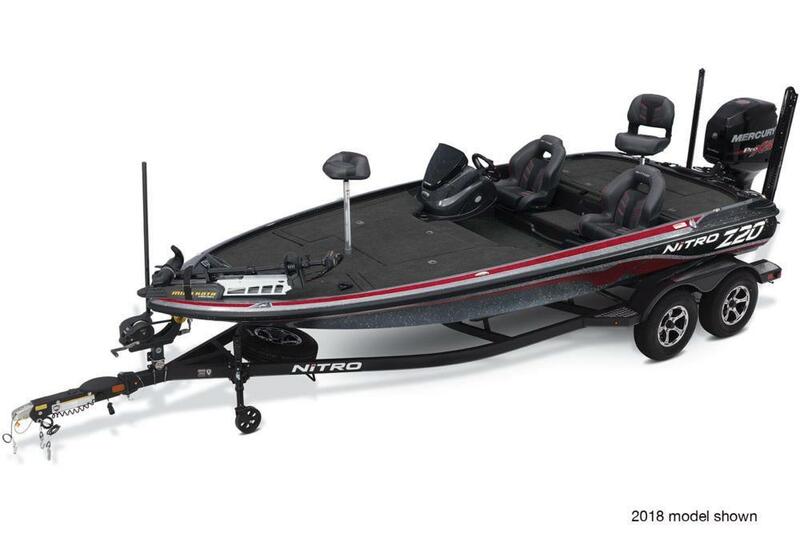 The NITRO® Z20 Pro gives you a host of the most popular high-performance upgrade options at an incredible value?you save $3,530 off the normal upgrade price! 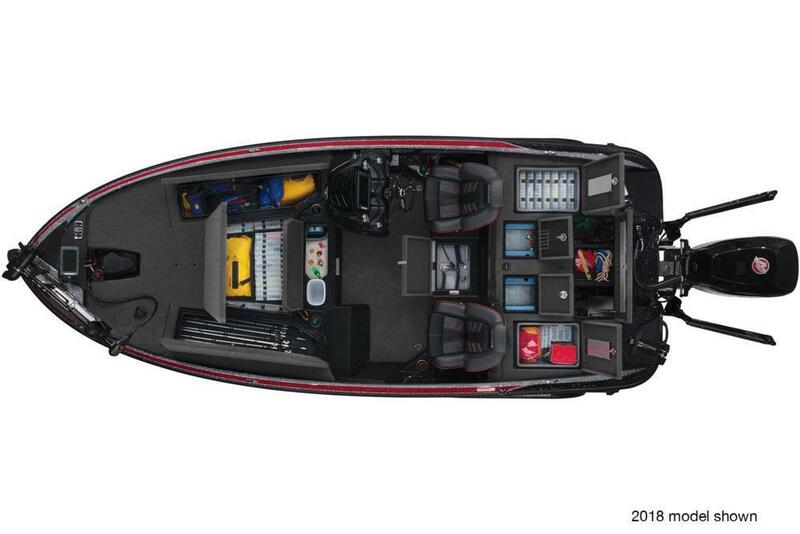 The brain of this fish-catching powerhouse is two Humminbird® HELIX? fishfinders networked together?and to a Minn Kota® Ultrex® trolling motor, giving you the power to find fish and stay on them while the competition is still searching. The basis of the Z20 is our NVT? hull?a design that uses a series of parabolic curves instead of traditional strakes, resulting in a hull that's faster, gives more lift while on plane and improves handling. The Z-Core? 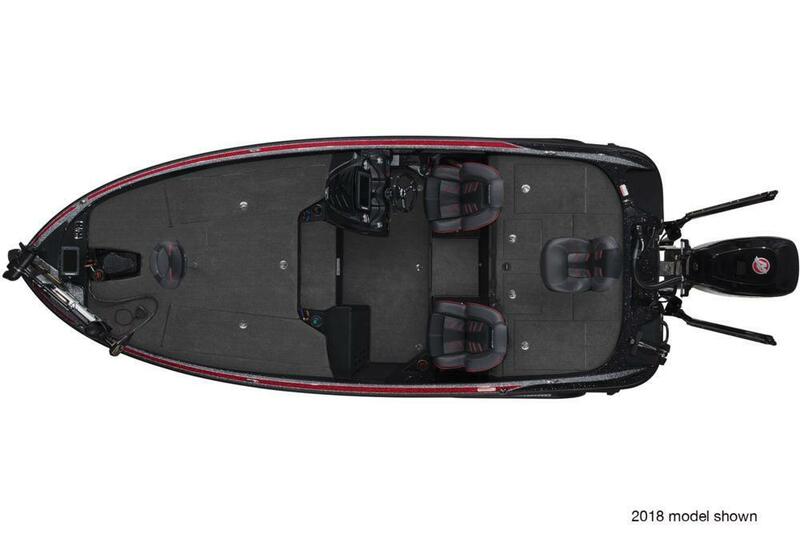 seating system with Force Flex suspension and contoured frame, designed in collaboration with Kevin VanDam, gives you the most comfortable ride in our history. And it comes fully rigged on a custom-matched, tandem-axle trailer with GALVASHIELD® Impact corrosion and chip protection. Minn Kota® Ultrex® 36V, 112-lb. (50.8 kg) thrust, 45? (1.14 m) shaft trolling motor w/Universal Sonar 2 & i-Pilot® Link?